Oh Jill. I just love her so so much. You might know her from the killer makeup work that she does for my clients and collaborative shoots, but she's also a stunner in front of the camera herself! 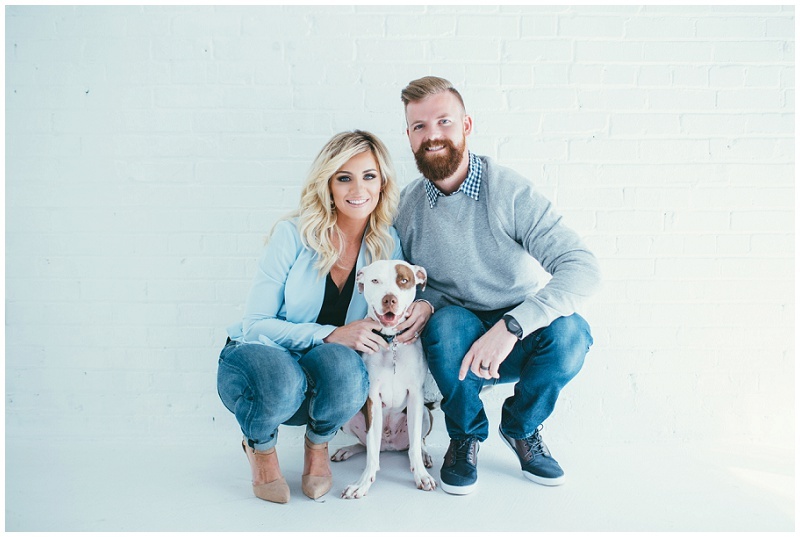 We did this fun little shoot with her husband Joey and their dog child, Charlie. Who is obviously the cutest pup ever (second to my baby Jack, duhh). Jill's hair and makeup were done by the lovely Vivian Johnson from Vivian Makeup Artist. She is seriously so fabulous, make sure to check out her work as well! You can check out her makeup work here and here.